A new Oscar which celebrates the stunt professionals who have built the movie world and given audiences such thrills over the years. My Nominations:Earthquake. The Towering Inferno. Gone In 60 Seconds. The Man With The Golden Gun. McQ. We’re well and truly into the golden age of car stunts now, and in many ways this is the second age of movie stunts – the first being all those westerns of previous decades. The Eighties would bring in a new age of more spectacular work, but this is truly when the stunt profession hit its stride and maybe its peak of fame. Earthquake as the name would suggest contains a variety of stunts thanks to the massive quake which rocks LA and due to its epic scale set a new precedent for the number of stunt performers involved. Any time there’s a scene of carnage, the stunt guys are there making everything as thrilling as possible – the film has everything from falling and dodging gags to the higher drops and elevator crash. Similarly, The Towering Inferno has disaster oriented stunts – the elevator makes an appearance again, this time on the outside of the building – as well as lots of fire and height related fare, from crane work, dodging flames, and more water. Gone In 60 Seconds is our first car-related stunt extravaganza, a film with a monumental chase sequence and famous for wrecking over a hundred vehicles. The film has many incredibly dangerous stunts and scenes, with several real accidents being incorporated – the carnage includes cars, trucks, flipping, cars jumping, skidding, crashing, and a final lengthy jump which remains incredibly impressive. The Man With The Golden Gun has a number of car gags too, its most memorable being that amazing corkscrew flip across a river – a stunt you never really see replicated anywhere. On top of this the film adopts martial arts thanks to the popularity of Bruce Lee with a number of basic fight scenes. McQ continues the theme of flipping cars and chases, while Stone does the same but with motorcycles replacing cars. Let us know in the comments what your winner is! My Nominations: White Lightning. Live And Let Die. Lady Snowblood. Enter The Dragon. Hal Needham and Burt Reynolds had one of the finest stunt performer/actor relationships in history making a string of hits and memorable stunts. White Lightning has some of Needham’s best work – a film filled with good old car chases and one stunning car jump onto a moving boat which didn’t quite go according to plan. Lady Snowblood and Enter The Dragon fill the martial arts quotient, both fine examples of what can happen when you have highly skilled fighters simulating all out war. Live And Let Die is the sure winner this year – double-decker bus chases, bayou boat antics, and a short sprint over live crocodiles just some of the classic moments. My Nominations: The Getaway. The Poseidon Adventure. Aguirre The Wrath Of God. Deliverance. Fist Of Fury. Way Of The Dragon. The Mechanic. The obvious winner here would be The Poseidon Adventure – lots of action and stunts aboard the ill-fated liner. I can also see The Getaway and Deliverance getting an official nomination had this category existed, the latter getting extra credit for having the actual cast members perform much of the work and the former for plenty of gun and car action. Also featuring the actual actors putting their lives at risk in rivers and jungles is Aguirre, while The Mechanic continues the gun and fisticuffs theme. My final two nominations… some may argue can’t be classed as stunts given either the realism of the fights or the fact that trained martial artists were involved. Nonsense of course. Both Way Of The Dragon and Fist of Fury feature wonderfully choreographed fight and action scenes and either is worthy of a nomination in my book. Although Way has the better one versus one scene, Fist Of Fury I think edges things for the variety of set pieces. Let us know in the comments which film of 1972 you would give the Best Stunt award to! My Nominations: The French Connection. Vanishing Point. Shaft. Red Sun. Macbeth. Le Mans. A Fistful Of Dynamite. Evel Knievel. Duel. Dirty Harry. The Big Boss. There’s an obvious winner here, and if you’ve looked at my nominations then you already know what it is. Let’s start in the east first – The Big Boss was the first real film to showcase Bruce Lee’s talents. It doesn’t have the scope of Lee’s later films, but it abandons the wuxia style so popular at the time for a prototype one man army style grit – the stunts are all real, dangerous, and pack a punch. Red Sun has gun fights, swordplay, a train robbery, while A Fistful Of Dynamite switches out the swordplay for explosions and motorcycles. Speaking of motorcycles, Evel Knievel features both manufactured stunts and real life jumps performed by Knievel and other performers while Le Mans does a similar job with cars, featuring plenty of real footage and simulated crashes. Macbeth I throw in here just for having the audacity to be more visceral and charged than any other version till that point while Shaft has plenty of punches and gunshots on the way to its explosive finale. Dirty Harry features similar levels of stunts and action to Shaft while my final three picks are all car-heavy. 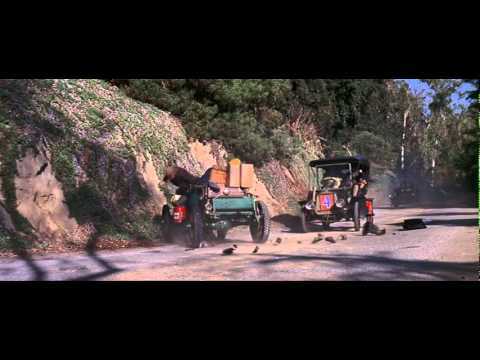 The French Connection features a number of fights and chases, but is most notable for one of the most famous car chases in history – when a car chase enters pop culture, you know it’s good. Vanishing Point is almost entirely set in or following a car chase, and while there is just as much time spent enjoying the vastness and beauty of the US landscape the film has a throttle-down pace and plenty of skids, near misses, spins, and crashes. Finally, Steven Spielberg’s debut sees a malevolent truck causing mayhem in one long chase movie with as much suspense as stunt action. My Winner: The French Connection. Let us know in the comments what your winning choice is! My Nominations: Brewster McCloud. They Call Me Trinity. Catch-22. Little Big Man. Kelly’s Heroes. Tora Tora Tora. We return to one of my favourite awards, namely because it has never been an official award, and also because stunts are one of those things which draw you to Cinema at a young age – a good stunt will stay in your mind just as much as a powerful line of dialogue or piece of acting. Many people will tell you that, for practical stunts, the 1970s are the finest decade. 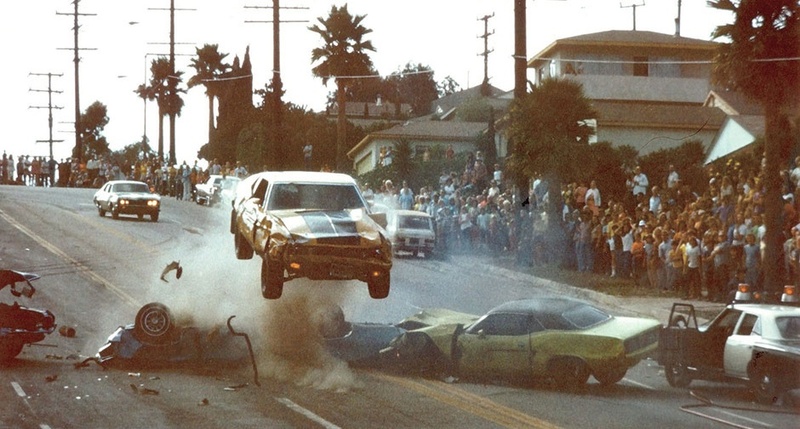 Certainly we saw an explosion of car chases and stunts, and not only on the big screen, but also through hit TV shows which continued into the 80s, such as CHiPs, Knight Rider, The A-Team, The Dukes Of Hazard etc etc. There’s something unique about the stunts of this era – the way they were filmed, up close, from multiple angles, with realism, and with plenty of slow mo. And they always seemed to take place on some dusty LA highway or desert road. Brewster McCloud has a plethora of stunts, from the aforementioned car chases and crashes to fisticuffs, well placed bird crap, and a boy flying like Icarus. Little Big Man features some stunts which deserve to be more well known and are visually iconic if not part of the public consciousness – the horsework and leaping from carriages here is second to none. They Call Me Trinity doesn’t come near the iconic status of the other films, but is still an underrated and very funny spaghetti western with plenty of action. Our last three movies are three standard war movies each with their own flavor of action and stunts – Tora Tora Tora most notable of course for its aerial scenes – the same can be said for Catch-22, while Kelly’s Heroes is a more traditional mixture of gunplay, tanks, explosions, and punch-ups. Let us know in the comments which film of 1970 you would hand the Best Stuntwork Award to! My Nominations: Butch Cassidy And The Sundance Kid. The Wild Bunch. The Battle Of Britain. On Her Majesty’s Secret Service. Marlowe. The Italian Job. Downhill Racer. BCATSK is of course known for for the cliff jump scene – impressive at the time but it has of course been surpassed many times in the decades since. There are plenty of other great stunts and action in the movie, from the gripping train introduction to the various shoot outs, fights, and even Paul Newman’s whimsical bike antics. Similarly, The Wild Bunch is filled with shoot outs, more train action, and horse falls aplenty. Battle Of Britain has all the explosions and action you would expect from a war film – a Guy Hamilton war film no less, but where it raises the game is with the exceptional aerial set pieces – some of the best you’ll ever see in terms of scale, pace, and realism. On Her Majesty’s Secret Service I have always felt to be one of the more action-lite Bond movies, but it has its fair share of stunt too – the Piz Gloria ski slope scenes are memorable. Speaking of ski stunts, Downhill Racer also has excellent snow action, though the focus is much more on realism than Bond’s fun and games. Marlowe’s nomination goes almost single-handedly to Bruce lee, whose demolition of James Garner’s office is both humourous and a sign of things to come for the Chinese star – though there is also standard gun action towards the end of the film. Finally, The Italian Job has car chases galore which have become iconic, at least in Britain. Let us know in the comments which film of 1969 you think deserves the Best Stunt Work award! There is an obvious choice for winner here with Bullitt – famous for one of the greatest car chases in history. It has all the ingredients – classic cars, great drivers, solid direction throughout iconic streets, and realism. It’s that final part which means it doesn’t get my vote – it’s a deserving winner, but with stunt work sometimes I want something a little more over the top. The Love Bug does deliver over the top thrills, Once Upon A Time In The West features another selection of shoot-outs and fights, while Planet Of The Apes has many exciting scenes. My win goes to Where Eagles Dare, something of a forgotten war movie which is strange given its unquestionable star power. It has a lot of set pieces, from treacherous car chases to fights on top of cable cars, as well as parachute stunts, fights, and gunplay. Yakima Cannutt directed most of the action scenes while a host of the best stunt performers in the business helped to create the thrills. My Winner: Where Eagles Dare. Which film of 1968 do you think deserves the Best Stunt Work award? Let us know in the comments! My Nominations: The Dirty Dozen. You Only Live Twice. Dragon Gate Inn. Bonnie And Clyde. I only have four nominations for this category this year, a year in which character drama was more popular than action and comedy movies. The Dirty Dozen has war games aplenty, with the recruits going through various scrapes in their training before the final attack and escape. While there isn’t anything groundbreaking, the action comes thick and fast, thanks to an extensive stunt team including Ken Buckle – a Bond veteran, Gerry Crampton (Raiders Of The Lost Ark), and Rick Lester, a man who was once in line to take over from Sean Connery as Bond. Speaking of Bond, You Only Live Twice was the series most action heavy movie to that point, with ninja’s scaling down volcanoes, helicopter battles in the sky, and all manner of fist fights – performers including Peter Fanene Maivia (WWE legend and grandfather of The Rock), Tex Fuller (Brazil), and K.H Wallis (pilot of Little Nellie). Ying-Chieh Han (The Big Boss himself) provides the thrills in Dragon Gate Inn while Mary Statler (Paint Your Wagon), Bob Harris (Commando), and Lucky Mosely (Walker, Texas Ranger) among others provide the carnage in Bonnie And Clyde. Which film of 1967 do you think has the best Stunts. Which stunts or stunt performers would you like to recognise? Let us know in the comments! My Nominations: Grand Prix. The Good, The Bad, And The Ugly. Is Paris Burning? The Sword Of Doom. The Wild Angels. A selection of films from around the globe this year, with a Western, War movie, a Samurai epic, and two films focusing on man and machine making my list. Grand Prix takes my win for making car racing look much more exciting than it actually is, with Max Balchowsky, Tom Bamford, Carey Loftin, and Ronnie Rondell Jr performing the majority of the driving. Which film of 1966 do you think had the best Stunt Work? Let us know in the comments! My Nominations: Thunderball. The Great Race. Von Ryan’s Express. For A Few Dollars More. The Battle Of The Bulge. Dr Zhivago. Bond’s 1965 outing is full of the usual exceptional fight and chase scenes, but it is most notable for its underwater work. Naturally, taking the action below the waves has inherent dangers and gave a unique twist to action thrillers of the time, but many of the scenes drag on and lack pace, so although they were remarkable at the time, and still an impressive achievement, they feel a little dated now. Von Ryan’s Express has fights on top of trains, large and small-scale gun battles. The Agony And The Ecstasy has horse battles. The Battle Of The Bulge features a fair amount of epic war scenes and tank combat. Dr Zhivago has a bit of everything, from battle scenes across icy wastelands on horseback, to epic gun battles while For A Few Dollars More has gritty gunplay and tense build-ups before the release of action. The Great Race is like a live action Wacky Races, mixing exciting, nitro-fuelled car action with absurd, extensive pie fighting. There is a massive list of stunt performers, mostly who went criminally uncredited in the film – basically everyone involved in stunts in the 60s was involved in this one. Which film of 1965 do you think has the Best Stunt Work? Let us know in the comments!